My personal bike. Do not look at exact bend of chain & seat stays as I don't know. 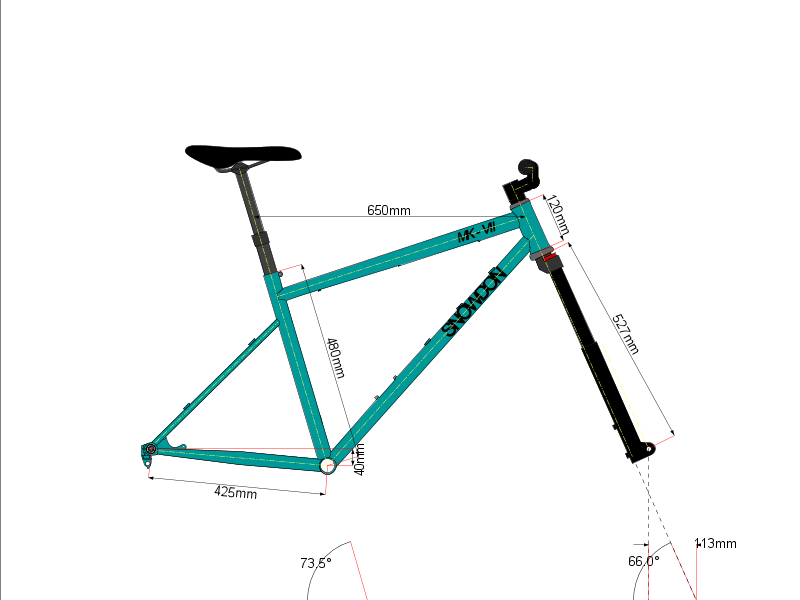 140mm fork with sag of 25mm.